Q. How do shotgun mics work? How do shotgun mics achieve such a tight polar pattern compared with other designs? And how come they seem to be getting shorter every year? Shotgun principle — showing how off-axis sound arrives at the capsule diaphragm via different path lengths, and thus different phases. 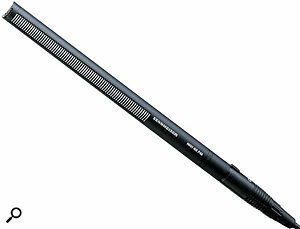 The 'industry standard' MKH416 shotgun mic. Physically longer designs such as this may seem unwieldy but their frequency response extends lower than shorter models.SOS Technical Editor Hugh Robjohns replies: Shotgun or rifle mics are more properly called 'Interference Tube' microphones, and they are often assumed to have magically tight polar patterns that simply don't exist in reality. Shotgun mics do have their uses, of course, but have to be used intelligently to avoid the significant compromises associated with them. 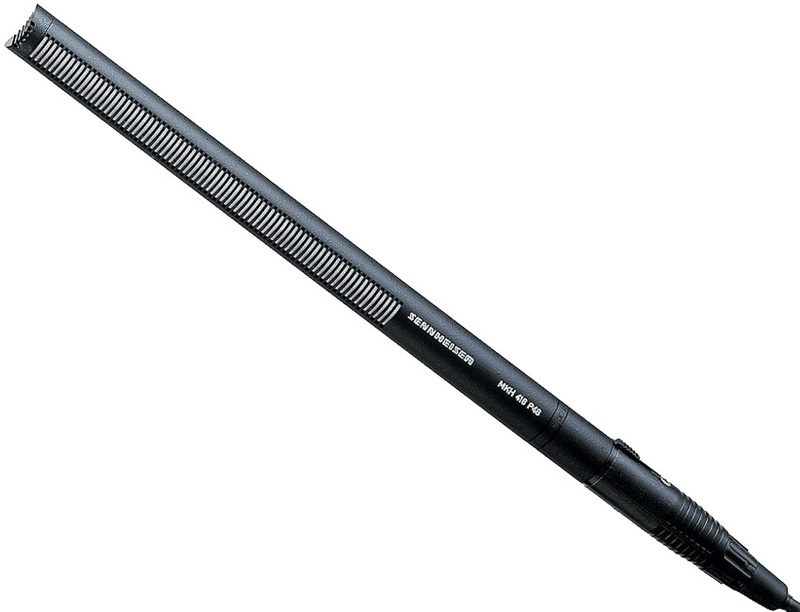 All shotgun mics employ a standard directional capsule — usually a supercardioid — but with a long, hollow, slotted 'interference tube' attached to its front surface. Although this arrangement inherently moves the capsule further away from the sound source — thus making the direct/reverberant ratio slightly worse — the hope is that the tighter directionality (at high frequencies), which reduces the ambient noise, outweighs this disadvantage. 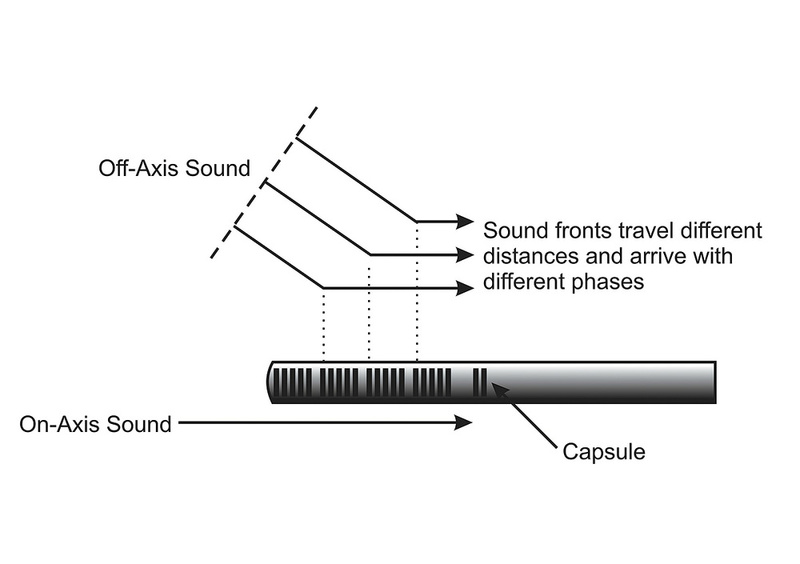 The idea of the interference tube is that the wanted on-axis sound passes straight down the length of the tube to the capsule diaphragm unimpeded, but the unwanted off-axis sound has to reach the diaphragm by entering the side slots. 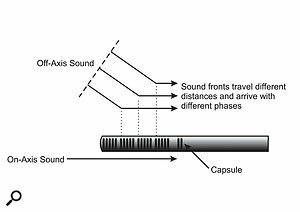 Since this unwanted sound will enter multiple slots, and the distances from those slots to the diaphragm vary, the off-axis sound will arrive at the diaphragm with varying phase relationships and so partially cancel one another out — this is why it is called an 'interference tube'! Consequently, off-axis sounds are attenuated relative to the on-axis sounds, and hence the polar pattern is narrower towards the front than would be possible with a simple super-cardioid mic on its own. However, this is actually a pretty crude solution because the actual amount of cancellation depends on the wavelength of the sound, its angle of incidence, the length of the tube, and the slot spacing. Most standard-length shotgun tubes don't have much effect below about 2kHz, and are no more directional than the basic supercardioid capsule design they employ below that frequency. While very long rifle mics do exist and are directional to lower frequencies, (for example, the Sennheiser MKH816), they are unwieldy to use and the longer tube necessarily moves the capsule even further away from the sound source, negating to some extent the enhanced directional benefits. Moreover, if you look at the real polar plot of an interference tube mic at different frequencies — rather than the idealised versions many manufacturers print — it looks like a squashed spider, with multiple narrow nulls and peaks in sensitivity at different angles for different frequencies. This is the direct consequence of the interference tube principle, and the practical consequence is that off-axis sound sources are inherently very coloured. Worse still, if an off-axis sound moves (or the mic moves relative to a fixed off-axis source), the colouration varies and becomes quite phasey-sounding. So, shotgun mics work best when the unwanted off-axis sounds are significantly different from the wanted on-axis sounds — and nothing moves! Shotgun mics don't work well at all in small rooms or in highly reverberant spaces, because the on- and off-axis sounds are inherently very similar. Neither do they work well where there are well-defined off-axis sounds moving relative to the mic, or where the mic has to move, to track the wanted sound with static off-axis sources. In these cases, the directionality may not be as narrow as one would hope and off-axis attenuation will be significantly worse than expected, and/or the off-axis sounds will become noticeably and distractingly coloured. The apparent shortening of shotgun mics is largely about style over function, and marketing an apparently 'pro' approach with consumer convenience. It's a con, because the length of the interference tube is determined only by the physics of the wavelengths of sound, and there's no getting around that. Short shotguns inherently only work at higher frequencies and are pointless if the sound source you plan to record comprises mid and low frequencies. Having said that, the adoption of digital technology has allowed some improvements to be made in shotgun performance, and the Schoeps Super CMIT is a good example of what can be done. This mic uses a supercardioid capsule at the base of a standard interference tube, as normal, and a second cardioid capsule facing backwards just behind it. The two capsule outputs are combined using some clever DSP processing to increase the directivity significantly at lower frequencies — a process Schoeps call 'Beamforming' — which maintains a tighter polar pattern across a much wider bandwidth than is customary.